The current Baltic state of Latvia became independent from the Russian Empire in 1918, was absorbed into the Soviet Union in 1940, was invaded by the Nazis in 1941, retaken by the Soviet Union in 1944, and was a Soviet Socialist Republic until the fall of Communism and independence in 1991. 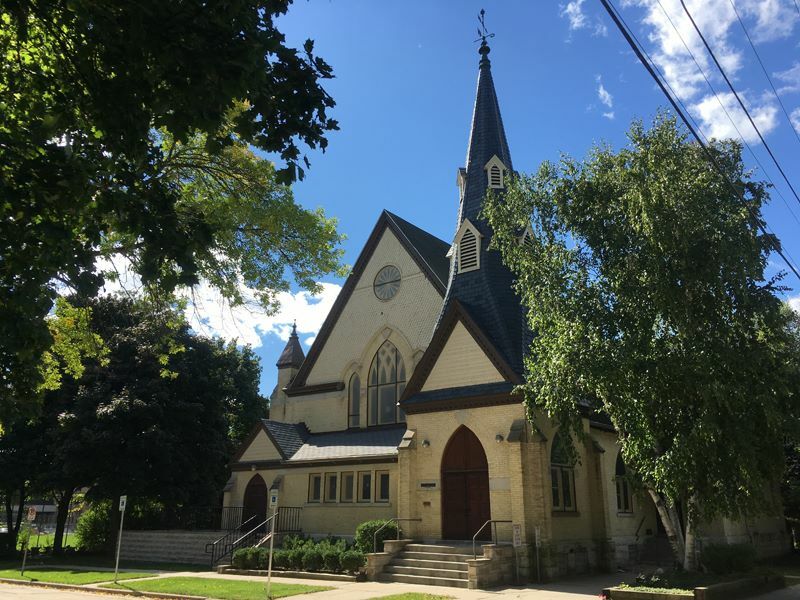 That political history served as a backdrop for Latvian immigrants to the Milwaukee area, a small migration before World War I and then a larger migration from refugee camps in Europe after World War II. Latvians settling in the United States prior to World War II obtained the moniker of “Old Latvians,” while the post-World War II refugees were “New Latvians.” Though small in number, Latvian immigrants in Milwaukee strongly identified with their culture, as evidenced by the existence of numerous cultural institutions that kept Latvian traditions alive. Wisconsin’s “Old Latvians,” who left their homeland in the early twentieth century, mainly lived in Lincoln County in northern Wisconsin. Although many of the “New Latvians” came from urban backgrounds, at least half of all displaced persons brought to Wisconsin in the late 1940s and early 1950s were sponsored by farmers looking for laborers. In fact, 53 percent of Milwaukee Latvians came to Milwaukee after living in another town or city in the state. 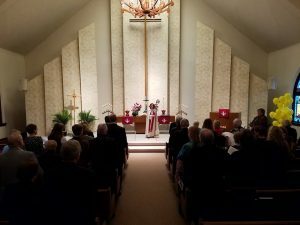 The Latvian community in Milwaukee grew in large part due to the efforts of Lauma Kasak, a Latvian immigrant who had left her homeland in the 1930s. From 1949 to the mid-1950s, Kasak helped relocate more than 600 Latvian immigrants to Milwaukee, including bringing Latvians, who worked for little pay in the cotton fields of the South, up from Mississippi. Once these Latvian immigrants arrived in Milwaukee, Kasak cared for them by providing medical care, food, and clothing, and sometimes by acting as an interpreter for Latvians who could not speak English and needed to communicate for their work. By the mid-1950s, Latvian churches existed for Lutherans, Catholics, and Baptists. One Lutheran Sunday school offered courses on Latvian language and history. 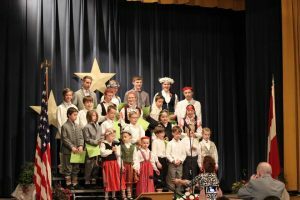 A Latvian Saturday school also had Latvian language courses, as well as classes on Latvian literature, history, geography, and cultural practices, such as music and dance. Even the Girl Scout troops organized by Latvians, and composed entirely of Latvians, took part in activities meant to promote Latvian culture. A 1958 study of Milwaukee’s Latvian community found that more than half of approximately 200 respondents belonged to at least one Latvian organization. As a result, by the early 1960s, Latvians had organized at least 32 groups, or one for every sixty Latvians living in the city. In the early 21st century, some 1,000 to 2,000 people in the Milwaukee area identify themselves as of Latvian ancestry in the census. ^ John Powell, Encyclopedia of North American Immigration (New York, NY: Facts on File, 2005), 175. ^ Juris Veidemanis, “Latvian Settlers in Wisconsin: A Comparative View,” The Wisconsin Magazine of History 45 (Summer 1962), 252-253; Rick Romell, “Woman Helps Build Latvian Community,” The Milwaukee Sentinel, November 17, 1985, 1, 3; “Foreign Born to be Honored,” The Milwaukee Sentinel, March 22, 1961, 2. ^ Maija Rumpeteris, “The Need for Group Activity of the Latvian Youth in Milwaukee” (Master’s thesis, University of Wisconsin-Milwaukee, 1958), 8, 16. ^ Veidemanis, “Latvian Settlers in Wisconsin,” 254. ^ Tabulated from the public use samples of the 2000 Census and the five year estimates from the American Community Survey, available at Steven Ruggles, Katie Genadek, Ronald Goeken, Josiah Grover, and Matthew Sobek. Integrated Public Use Microdata Series: Version 6.0 [Machine-readable database]. Minneapolis: University of Minnesota, 2015. Powell, John. Encyclopedia of North American Immigration. New York: Facts on File, 2005. Rumpeteris, Maija. “The Need for Group Activity of the Latvian Youth in Milwaukee.” Master’s thesis, University of Wisconsin-Milwaukee, 1958. Veidemanis, Juris. “Latvian Settlers in Wisconsin: A Comparative View.” The Wisconsin Magazine of History 45 (Summer 1962): 251-255.